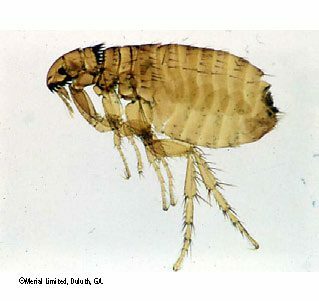 Fleas are a problem throughout the year: micro-climates in homes, gardens and parks allow their survival during the coldest winters; however fleas are a bigger problem in summer as warmth and humidity speed up the life cycle. An abundance of wildlife also contributes to the flea population your pets are exposed to outdoors. These factors increase the risk of developing a flea infestation within your home during summer. It’s important to know the difference between ‘hitch-hiker’ fleas and a home infestation. The adult fleas seen on pets come directly from the environment – an infested home, garden or park. They hatch from cocoons hidden in the environment and jump straight onto your pet. If these cocoons are from a source outside the home, then the fleas seen on your pet are ‘hitch-hikers’ - provided you are treating all cats and dogs in your home throughout the year with a product like FRONTLINE® Spot On, hitch-hikers will be killed before they lay eggs that would contaminate your home. However, if the fleas are coming from cocoons hidden within your home, then you have a home infestation. Because the flea life cycle happens much faster during summer, if you’re not treating all pets regularly, hitch-hikers from external infestations will survive on pets and start laying hundreds of eggs. These eggs are not sticky and fall out of the fur wherever your pet wanders. The eggs hatch into tiny larvae that crawl away from light, deep into carpets, between floorboards and underneath furniture. Larvae then spin cocoons and begin transforming into adult fleas. Cocoons hatch when stimulated by vibration and fleas jump directly onto the new host from the environment. Have you ever wondered what do dog fleas look like? See below. Home infestations can occur regardless of how clean your home is - the only way to prevent a home infestation is to treat all pets regularly throughout the year. Breaks in protection (even during winter) allow hitch-hikers to survive and contaminate your home with eggs. During winter the life cycle is slower and cocoons in the home are not hatching frequently - you won’t realise an infestation is developing. By the time summer comes around, the flea population hidden in your home will be extensive and your pets will consistently be covered in fleas. You may even find that you’re being bitten around the ankles. To treat a home infestation takes time – all pets need to be treated monthly for a minimum of 3 months; however it can take longer in some cases. Topical flea treatments are designed to kill fleas that jump onto your pet within 24 hours and so prevent eggs being laid. These treatments don’t stop fleas jumping on and they cannot have any effect on the cocoons already within the home. Because nothing kills fleas inside their cocoons, you have to wait for the cocoons to hatch and the fleas to jump onto treated pets, killing them before they can lay more eggs. With time, the numbers of cocoons in the home will decline.